Helping local East County area home owners enrich their lives through the place they call home is always something we love. We’re happy to call East County and CA home and look forward to adding your story to our growing list of happy clients. Krista and her team were excellent. We bought a home while on vacation. We relied on her staff to not only view the house but she positioned us so well, that we followed her advice and we got the house for the price we wanted. My father in law passed and we needed to sell his house. We met with three different agents and we quickly decided to go with Krista. Krista and her team are very knowledgeable, energetic and at the top of their game. The strategy, marketing and pricing on the house were spot on. We primarily dealt with Krista and Cathy. They were both very good at communicating and walking us through every step of the process. It was quite easy and painless. Krista even gave me her personal phone # I could call her on if I had any questions at any time. Our experience with Krista was second to none. Thank You, Krista! Over the years I have purchased and sold quite a few homes. To date, I have never had the pleasure of working with anyone in the real estate industry that comes close to being the consummate real estate professionals that Krista Mashore and her team at Homes By Krista are. From the very first meeting till the closing of escrow, through every phase of the sales process of my home, Krista and her team excelled. Without any hesitation or reservation, I would recommend Krista Mashore and her team. Krista and her team are amazing. Throughout our whole time working with her team they continued to keep us informed, updated and kept our spirits up. Krista’s team members we worked with were Josh and Heidi. Their professionalism and their personal touch made it seem like we’ve been friends for years. We highly recommend and will definitely use again. We had used Krista as our real estate agent, to sell our home in August. She was GREAT! She was very knowledgeable and very responsive to our many calls. We love her and would highly recommend her to anyone in the market for a Very Professional Real Estate Agent! I listed two homes with Krista at approximately the same time. While one home took longer to sell it was priced higher than the average for the neighborhood, but we did get our asking price the second homes sold in one day. Krista is very professional, very attentive to the seller’s needs and I assume the same with the buyer that she represents. Her staff is the first rate and keeps their clients notified about anything necessary to complete the sale in a timely fashion. I would highly recommend using her services. Homes by Krista has truly earned a place in our hearts. Buy and selling a home is not an easy thing to do. This team stuck with us and supported us not only through the process of selling our home; but also supported us on a personal level. They care and are passionate about the work they do. I could not have picked a better team to navigate this transaction with. Thank you for all your support! “Krista and her team helped us to sell our house so quickly. They are so professional in helping homeowners with all the questions, and it’s a worry-free process. I got an offer in Arizona around mid-July and the onboard date is Aug 28. We still have a house in Oakley that we need to sell before we can move. There are so many worries that I can not sleep especially everything is so rush and we are the first time home seller. We heard about Krista from our neighbor who sold their house in 2 weeks. In fact, this is the best decision we have made. Krista’s team meet with us and set up a schedule for selling our house and Krista keeps us updated for all the steps. It really makes me feel comfortable and release my stress for selling my house. “My family had a fantastic experience as buyers and then as sellers of the dream property on Meadow Brook Dr. in Brentwood managed by the business owner-Krista Mashore, who is an owner of the real estate firm “Homes by Krista.” Such outstanding residents as Krista Mashore, her brother Josh, and their professional team should be rewarded and considered as a top real estate organization in the entire county. They not only helped me and my family to buy the house of our dreams but to be with us through the tough time when we had to go through relocation (due to my husband’s promotion) and to sell the house in the fastest time and to the right buyers. Homes by Krista’s amazing team has provided my family the peace of mind; they prepared the house for the showings in the most luxury manner; Krista and Josh were super prompt, polite, and dedicated every step of the way towards the selling point. Honestly, I felt that I have entrusted my close-to-the-heart house to the most professional, intelligent, and collaborative team. They went above and beyond to exceed our expectations; when it was a rainy week and one of the pipes started to leak, they found an immediate help of professionals. I have noticed that Homes by Krista, along with Krista herself and Josh are having a tremendous amount of local cleaning, landscaping, repair, carpet-cleaning types of professionals. “My husband and I had the pleasure of working with Krista and her team (Josh Vitale) in search for a home in our area for my out of town Mother wanting to be close to her family after her husband passed away 4 years ago. This wasn’t an easy task due to her budget restraints, increasing home values and a seller’s market. We were outbid on several homes but with faith and a lot of hard work from Krista and Josh, my Mother just purchased a home! A lot goes on behind the scenes that buyers aren’t always aware of; what I learned was there were multiple cash offers on this home but because of Josh’s ability to build rapport and trust with the Seller’s Realtor along with his negotiation skills Mom was able to buy this home! “Our experience with Krista was outstanding! Krista provided us with ample information during our listing appointment and we were impressed with the amount of work and detail her and her team provided. She has a professional stager, photographer, videographer, marketing expert and did everything she said she was going to do for our property. Our property sold in 15 days with multiple offers. We were relocating our entire family to Texas and we were selling and buying a new home at the same time. Krista went above and beyond to find us a wonderful agent in Texas to help us find another beautiful home which was 1 less thing we had to worry about. The process was SO stressful but Krista helped us get through and dealt with our emotional stress during this huge transition in our lives. She always made us feel important and answered our emails and questions with no delay. That goes a long way with us especially when all you can do for most of the transaction was to wait on the process. “Krista fue siempre amable, sencilla y demostró su conocimiento y experiencia en venta, nos hizo sentir cómodos y confiados, por lo que estamos realmente agradecidos por su servicio, también tiene un excelente equipo de trabajo, feliz de haberla escogido, la recomendamos 100% a toda persona que esté en busca de alguien con experiencia, además es simpática, lo que no deja de ser importante 😉 y que le asegure que hará lo mejor vendiendo su propiedad, es trabajadora y emprendedora, cada meta que se propone la cumple a corto plazo, esto y mucho más… Todo nuestro agradecimiento a ella y equipo. Le deseamos todo lo major de la vida y que Dios la bendiga. “Krista and her team did an amazing job selling our Brentwood home. We had so much going on and she was unbelievably patient, supportive and understanding. She truly was a Godsend during such a huge transitional time. I can’t recommend her enough! What a great expiriance it was working with Krista. She is a top agent in the area for a reason! Krista dose everything with all of her heart and she had guts. She never lets anything get in the way, her energy is infinite, and always maintains positive “can do” attitude. I tried to sell my house one year ago with a different agent, after 4 months on the market I had zero offers. and ensured me the sell of my house. Thank you Krista, you are my agent for life! Krista is the best of the best. So professional and very knowledgeable, but completely friendly and down to earth. She made the sell of my home so easy and seem so effortless and stress-free. I definitely consider her a valued businesswoman and trusted friend! Thank you Krista! You are amazing! Thank you so much Krista Mashore. Your expertise and professionalism was greatly appreciated. The sale of our home could not have gone any smoother.. your process should be the process for all realtors!! 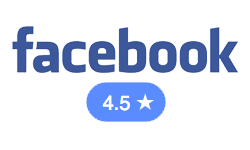 Thanks again..
We enthusiastically recommend Krista Mashore and her team! We successfully sold our Antioch Home within 5 days of listing with 4 offers and a final sales price above list price. We interviewed a number of realtors before selecting Homes by Krista. Her high energy enthusiasm and positive “can do” attitude set her apart from everyone else we spoke with. Krista presented us with a comprehensive marketing plan for our home utilizing current technology and social media as well as some more traditional mailings etc. Her team staged our home for maximum appeal and provided guidance as to what we might do to maximize home sale at the least cost. Be sure to talk with Krista before selecting your listing agent! Krista was above and beyond wonderful. She is extremely professional and has a finger on the pulse of the local and regional real estate market. Her marketing skills are exceptional and her team of professionals will stage and price your house to sell! My husband and I will absolutely be working with Krista again on any future home sales and purchases. The one word we can use to describe Krista is awesome. From the first phone call, to her initial presentation, pre-marketing, marketing, document signing… she did not miss a beat. I am a very thorough person that researches everything and make decisions based on facts. I had a list of qualifying questions since selling your house is an important and big endeavor, but did not have to ask any questions, because she answered them all in her presentation. Her level of professionalism, enthusiasm and knowledge, got us to a ”yes” before she left our home. In fact, after the sale (which was in a matter of days), we felt confident enough in her abilities that we went on an extended trip out of the country, and every step of the transaction went without a glitch – with us being informed every step of the way. If I had to do it again it would be Krista. If I had to make a recommendation – it would be Krista. Thanks Krista for a great experience! I deal with real estate agents all the time in my line of work as an inspector, and never have I met anyone or any team as courteous and professional as Krista and her entire team. From start to finish it was not only easy but a pleasant experience as she guided us through each process and communicated what was going to happen and the current status when the house was listed. I’ve sold 4 homes and never got the results we got with Krista. We love Krista..the whole process from start to finish with her was awesome. She answered all our questions and help ease our worries..we recommended her very highly to friends and family..
What can we say about Krista Mashore? A million positive things that’s what! she came to our house very prepared and showed us why she is the best of the best! how you work and most of all we loved her honesty and told us how it was. No beating around, to the point and that’s what we liked. We knew she would sell our house. our house in the MLS. She was upfront and very honest and said this will all get done and you will love it. all the photos and video were unbelievable. We were so happy! so happy to turn our house over to buyers that fell in love with our house as much as we have loved it all these years. title company representative were all outstanding at everything they did. They are all the best of the best! we were always updated. What a blessing they all our to us. We were so happy with the outcome and the friendship that grew between us all. We knew right away when this spunky Realtor walked into our house that she was the one! a Realtor. I only wish through all those years of doing so we would have met Krista way back then. Thank you so much Krista and your staff for making the process of selling a home so enjoyable and calm. We will love all of you for ever and never forget all that you did for us. You truly have a gift and your smile and kindness will always warm my heart. Krista was great. She sold our home quickly and kept all of her promises. Kept us updated and had a great plan which was easy to follow. Her office staff was friendly. Overall great experience selling with her. Krista sold my home for me in a different county. I used her because we already had a relationship with her team since they represented us in the buying process here in Brentwood. I was very impressed with her! The listing, offer and selling process went smoothly, thanks to Krista. That was the easy part! However, she went above and beyond her duties as the Realtor selling my home because my buyer took over two months to get final loan approval …. and, because things were taking so long, we were at risk of losing the homes we were buying in Brentwood. Krista went to bat for us and convinced the builder of our homes to give us more time, and I believe she had to do this more than once as the loan approval process on my buyer’s end went on and on. Until this sale, I sort of thought a Realtor’s job was pretty simple (in a hot selling market, which mine was where I sold my home). I don’t think that any more! Thru the 2+ months of the process, I began to see just how much work is involved; she did SO much for us, and I don’t think we’d be in our new homes if it weren’t for everything she did to help out! Thanks, Krista; we’re very grateful to you for ALL the “extras” you did to help us! There’s not much to say except that I would be shocked if there was any better real estate agent than Krista! We were first time home sellers, and the process was overwhelming to even think about. We contacted Krista through a suggestion from a friend, who raved about her services. Krista was 100% professional and on point from day one. She has a booklet with all the pertinent information ready to go on our first meeting, and was clear on what we needed to do to prep the house and when we would need to get it listed by. She also helped us in the negotiations on the house we were buying. Short of doing a mass cleanup on our old home getting it ready to show, the process was about as pain free as could be. Krista got us sold quickly and at a very acceptable price. She definitely knows the strategies involved in getting the best bang for your buck, and kept us informed throughout the entire process. I highly recommend Krista for any of your real estate needs! I was very impressed with the way Krista has your home staged to properly show your home. She immediately had pictures taken and out for advertisement. Krista was very professional throughout the whole process. I would recommend Krista to everyone. My home sold in one day after the listing was posted and she was with me all the way. Luv her!! We highly recommend Krista as a realtor. Her expertise in marketing sold our house in less than a week with four great offers. And over the asking price! She’s a hardworking lady with a great group of employees. Love them all. Krista and her team are the best. Why? Because they make the process of selling a home very easy. Krista is loaded with information and data. She uses that to gauge the market and provide recommendations to her clients. When we first met with her, we knew she was the one. Her team is available at all times to answer questions and so is Krista. She was able to guide us on how to setup the house and provide help from her end as well. Our property was off the market quicker than we thought. All thanks to Krista and her team! We both feel Krista did an awesome job. Once we listed things went very smoothly and quickly. We followed Krista suggestions all the way. We actually had other agents comment on the way we handled the walkthroughs and final procedures. We would definitely use Homes by Krista again. We hired Krista to sell our mother’s home after she passed away. It was a very stressful time for us, but Krista’s knowledge and enthusiasm convinced us that she was the agent for us. We were not wrong! She had the home staged, produced beautiful brochures using professional photos and on-line listings. Our home was sold in 10 days at more than we asked for. Thanks so much Krista! We will definitely use you again and recommend you to our friends. We couldn’t believe that Krista had 5 offers on our house for more than asking price in just one weekend. She said it would sell quick and that she usually gets offers for more than asking, but that was fantastic. Krista and team were great. From our 1st contact and through the entire experience we could count on Krista or a member of her team to be there for us. What impressed us most was they way she marketed our home. Her expertise really shines through when it comes to putting your home on the market and after only being on the market for a week we had 8 offers. We highly recommend Krista and Team!! Krista’s knowledge and expertise is truly invaluable. Selling a home can be an incredibly stressful process. Krista shielded us from the stress and chaos involved by working tirelessly to take care of every last detail. Krista’s communication was excellent throughout the entire process. We were very impressed with her upon our initial meeting and she did not disappoint us at all. In fact, she exceeded our expectations. Krista helped us sell our home in just one week for well over asking price. She was always available to answer questions, or talk things over. Her knowledge and experience in real estate made a huge difference in what we were able to get for our home. We were on a tight timeline to sell our house due to the purchase of our new home. Thanks to Krista and her hardworking team, we never felt the stress of this timeline. From the professional staging of our home to the beautiful brochures and advertising, Krista and her team are truly top notch. We would DEFINITELY use Krista’s services again and happily recommend her to anyone who is selling or buying a home. She is a master in her field. Krista and her staff were very helpful in a complicated sale. She carried the entire process, cradle to grave professionally & managed every aspect with our best intentions. The staff worked hard to keep me informed of milestones and to-do items. I will use her again for both the purchase or sale of property in the East Bay. Thanks Krista and Deborah! We enjoyed working with Krista and her team, they all were very knowledgeable, helpful, friendly, professional, and great to work with, thank you for your service and definitely would use again. I have previous listed my house with another realtor but didn’t sell. So we found Krista to give the place another shot because we noticed she has sold many of the other homes in our Brentwood neighborhood. Krista just does amazing work. She gave us extensive recommendations on how to properly prepare and fix our home before putting it back on the market. She has one of the best marketing teams I’ve seen; they produces high quality ads + video and generates tons of online traffic, which all adds up to lots of exposure and interest. After all the repair, upgrades, staging, and presentation, we couldn’t believe it’s still our old house because it looked like something from TV show “cribs” or “million dollar listing”. We were ready to sell at a lower price but Krista stuck to her gun and convinced us to list the house at a fair market value. At the end, she was able to get us multiple offers within a few weeks, and we got 34K over our original expected price. We closed quickly and without any issue. We couldn’t thank you enough, Krista! Wish you all the best. My wife and I have bought 6 homes and have sold 2. Of all the real estate agents that we have worked with, Krista Mashore is the best. Krista helped sell our rental property while we lived in another state. She constantly communicates and gives updates on the real estate transaction and her response times are great. She works with a great team and they all are very focused to ensure that you are taken care of. Without hesitation, I would definitely recommend Krista if you are looking to buy or sell a home. Krista, with her upbeat and jovial personality is a professional and aggressive agent with marketing skills that surpasses all. She is extremely knowledgeable and involved in the community. She also goes to great lengths to assist you with all questions and problems that arise. Krista received multiple offers in just a few short days, attesting to her marketing abilities. Our home was on its way to success; Krista negotiated for the highest and best offer and received the price we were asking. Although Krista sold our home in record-breaking time, the complications with purchasing a home out of state cause us to cancel our sale. Krista, was still there for us, assisting with the out of state purchase complications. Krista is there with you every step and goes much further than one would ever expect to make a sale a happy experience. Krista is your agent. Do not look any further. You are in GREAT and professional hands. Thanks, Krista. You’re awesome!! Krista and her team are outstanding! She gives nothing but 100% and is committed to making it an easy buying/selling experience for her clients. She is very knowledgeable about the area and the entire selling process. She’s incredibly detailed and has a first class marketing strategy. Last and most importantly, selling a home can be incredibly stressful. Krista manages all of the details so you don’t have to, making it a much easier, less stressful process. I wouldn’t consider using another agent to sell my home. I wanted to take a second to say thank you. I’m really impressed with all of you, and I’ll definitely tell everyone how good of a job you’ve done! 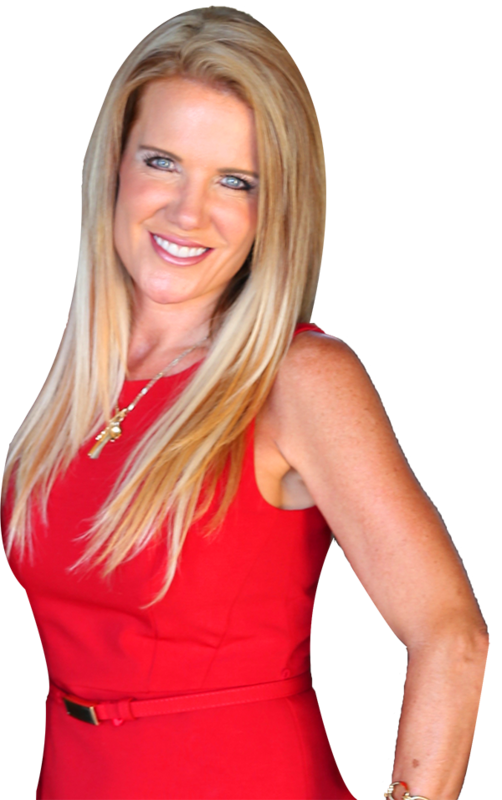 I interviewed several agents prior to hiring Krista to sell my home in Brentwood. All of the other agents made promises and expected me to do all of the work. Why would I pay them if I had to do all the work? Being in law enforcement, I think I can recognize honesty and character in people. I have to admit when I met Krista and she went over her extensive plan to sell my home, I thought to myself, “There is no way she can do all of this!” Krista had professional photographs taken, home stagers, even a moving van if I need one! She exceeded her own promises and blew my mind with the quality of her team’s work. Krista followed through with everything she promised and then some. I’ve never seen someone be as passionate about their career. Krista is a tough negotiator. She really fought for me to get top dollar for my home. The level of communication from her and her staff is top notch, and her level of knowledge in real estate is phenomenal. You can definitely tell she continues to educate herself with the latest trends in real estate. Krista is a true leader in the industry. I will not let anyone else sell my home in the future! I received a full page color flyer about our neighbors house for sale. It said “pick your neighbor and refer someone to us for this home” It was awesome looking and very effective. The timing was perfect because it was the day my wife and I decided to look for a realtor. I’ve never seen marketing this original and professional looking. The flyer was calendar size, all sides were full color, glossy. I called and Krista and she answered right away and spoke with me about our needs. She met with us the next day and brought some literature so that we could become familiar with herself, her business methods, and her staff. We then went into a few details and she left our home without any sales pressure, etc. This allowed us to make an informed decision and take our time. We were very impressed with her business methods and were actually excited to choose her as our agent. Krista was ON TOP of things since day one. We just laid back and enjoyed the ride. Flyers were approved by us and mailed out immediately just as she promised. Even the sign that went up in the front yard was amazing, bright white, double post, LED lights on the top. This thing was a very attractive piece…and it attracted many people. Almost all flyers were taken, put out about 5-10 a day. Neighbors, people walking by, even driving by would come over and make positive comments about the home, the sign, and the flyers that were provided. Krista and her team staged, took photos, and video of the home and got to work for us right away. No open house was needed. Her extensive network was second to none and she came through as promised with a lot of groups looking at the house the first weekend. We noticed that one of the very first couples to look at our home were also the ones that made the offer (for $17,500 over asking) It was such an amazing feeling to know that because of Krista and her team our home had an offer immediately. It was priced properly and sold for $7,500 over after the appraisal 🙂 Once again, constant contact and hand holding through the entire process. My wife and I have countless emails, calls, and texts with new information updates and check-ins from Krista. We were very impressed with how fast, smooth and trouble free this experience was. We now have all the remaining equity money from our home sale in the bank and we’re moving on with our life without a hitch. Krista was even there to hold our hands with the signing to close escrow, etc. This was a first time experience for us and we’re very blessed to have had Krista handle it in the way she did. She is even in contact now dealing with the purchase of our home that has nothing to do with her or her agency. “we bought new construction” I swear to God that I would refer her to anyone that is looking to buy or sell a home. Unbelievable, amazing, outstanding, excellent, phenomenal, extraordinary customer service and professional handling of our home sale! Pick up the phone and call her just to speak with a living legend and have her get your home sold or purchased right away. Krista was wonderful. We had a rental home that we were selling and since we live a few hours away, we relied on Krista to take care of everything. The house was cleaned, carpet replaced and staging done perfectly. Once on the market, the house sold in 10 days. Krista was always available if we had any questions. I would recommend her to anyone looking to sell their home. From the initial presentation, complete with very impressive marketing materials and comparative market analysis to the closing and funding of the sale of our home it was an amazing 111 days. Krista was with us every step of the way, overcoming some challenging issues. Her professionalism and expertise were heavily relied upon for first time home sellers. Krista gave us clear instructions and assistance with staging and prepping for sale including finding painters and paying them out of escrow. We did NOT have any open houses. The home was shown to over 30 agents and prospective buyers and had multiple higher offers and closed at 22% above asking. I have recommended Krista to everyone I know and will use her services the next time I’m in the market, buying or selling. Thank you Krista! If you want your house to sell, Krista is the real estate professional you need to go with. The marketing and staging that was done for my house is something you would expect for a multi-million dollar home. She has that same effective approach. From hiring a professional photographer, a professional videographer, to staging and marketing. It is second to none. On top of all of that, Krista is extremely knowledgeable and responsive, and held my hand throughout the selling process, as I was a first time seller. It was a great experience, and I when I sell any houses in the future, I will list them with Krista. I will also recommend Krista the second I hear that a family member or friend will be putting their house on the market. I recommend Krista and her team wholeheartedly. She was always professional, prepared, helpful and full of energy. It is obvious she loves what she does and puts full focus into her profession. Selling a home can be stressful and she is understanding and warm. She handled multiple offers well. We were very happy with the final result and all of her extra efforts in the process. You don’t need to look any further for an agent with expertise and knowledge. If you are buying a home, you need someone who can find you the homes that fit your needs, help you accurately value it and write the offer that will get yours accepted. That is Krista. If you’re selling, it is all about marketing. Krista and team do that better than anyone! The proof for us was selling our home in 4 days with an offer that was over asking. Krista is the agent you need on your side. Krista was very professional, knowledgeable, sincere and quick to reply to any questions or concerns I had. Our house sold within a week after she listed it. She is definitely my go to realtor. Thanks Krista, I enjoyed our relationship. Krista listed our home at 2700 Presidio Drive in Brentwood Ca, and in 14 days we had more than one offer, and ending up closing in july 2015. Krista is the best out there. We interviewed other agents before listing our home, but in the end we decided on Krista. And we are truly glad we did. She knows the business very well. And has an amazing team. Homes by Krista is the best of the best. Anyone looking to buy or sell a home, start here! My husband and I were extremely FORTUNATE to have Krista Mashore as our agent. Krista expertly navigated us through every step of the process in selling our home. From day one she had our best interest in mind and was truly understanding of our situation. Krista and her team are highly professional, compassionate and knowledgeable. They truly care about their clients and they are all about deepening relationships. We can honestly say that we now consider Krista a life-long friend. We were also fortunate to have Heidi Kugl as our buying agent. She was always available to take our calls and answer any questions we had. She was also very patient and accommodating to our schedule when showing us potential properties. Heidi has exceptional negotiation skills. We are so happy with our new home and glad we had Heidi on our team. We HIGHLY recommend Krista and her team for buying/selling a home. This is the team you want on your side and you will know it upon your first meeting. A big thank you to Krista and Heidi. Krista provided stellar listing, marketing, negotiation, closing, and technical real estate expertise for all elements and stages of our home sale. Due to her online marketing, presentation/staging savvy and the professional and artful virtual home tour videos, and photographic skills our property was showcased to it’s best advantage. We received multiple offers within a week of listing and a sale price in excess of our listing price. This resulted in a seamless and expedited sales/closing transaction through all it’s complex and various stages. We have sold many properties in the past and this by far was the smoothest and easiest sale ever. She communicated with us constantly both by text, phone and email providing online contract and addendum sign off support. We would wholeheartedly recommend Krista to our friends and anyone looking to get personalized and very professional real estate support. We couldn’t have experienced a more professional, enthusiastic and fun team to help us sell and buy our homes. Krista and her team were available to answer questions, day or night. Through every step of the process, Krista made sure we understood what was going on and was in constant communication with us. Krista and her staff are true professionals to which all agencies should strive to measure up to. You guys are the best! “Choosing Krista as our real estate agent was an eye opener for our family. Previously, we had gone through another agent with our home listed for three months and no offers. This can be a very frustrating and disappointing experience. We had decided to take our home off of the market having given up hope, then we heard of Krista. I did some research this time, looking at her reviews, experience, and business tactics. Krista’s forward thinking, professionalism, marketing strategies and eagerness immediately won us over. Everything was completely different with Krista and her sales team. We were not only amazed with her integrity but also the fact that she invests in her clients. Krista provided a team that helped to coordinate the sale of our home; she staged our home, took professional photos (this truly makes a difference with marketing), did a video, and used marketing strategies that most realtors have yet to venture upon. Within one day of our listing we started to hear back from agents, we had multiple offers within a few days and by day six we were sold! We couldn’t believe it! For the next 30 days Krista and her team continued to keep in constant contact with us, walking us through the process and making sure we understood everything that was being done. “The day that I decided to sell I went to the internet and I believe that it was by divine intervention that Homes By Krista caught my eye. From the first day that she left a professional portfolio on my door step, to the last time I her voice saying, Congratulations on closing! We are officially on record, Krista and her staff were the ultimate professionals! That is exactly the spirit, enthusiasm and passion that Realtor Krista Mashore / Homes by Krista gives to her clients! The sale and the purchase of a home is one of the biggest decisions that a family makes. Krista went above and beyond to make our family feel like we were her only client! She believed in our family and our future goals; she played a huge role to get our kids to pursue their passion of living by the ocean! For that we will be forever grateful! “Thanks for all the hard work you did to sell our house, we appreciate it! “Working with Krista Mashore to list our home was an absolute pleasure. her business savvy allowed us to get multiple offers over our asking price. Her marketing materials and staging services really made our property shine. We interviewed four Realtors before we hired Krista Mashore and her team to sell our Oakley home. It was the best decision we made! Krista’s knowledge of the current Real Estate market, her experience, and her marketing and advertising strategies are unequaled. Her professionalism is unsurpassed. After receiving multiple offers, Krista’s keen negotiating stills resulted in a final price that was way above our listing price. Thank you Krista for your enthusiasm, hard work and expertise. We are truly grateful. The purchase of our dream home could not have gone more smoothly thanks to Sara Winschell with Homes by Krista. Krista was personally involved throughout the whole process of our purchase. Krista, Sara & their team were efficient, knowledgeable & courteous and most of all accommodating to our families schedules. I would highly recommend Homes by Krista for a purchase or sale. Our family could not be happier. Thank you Homes by Krista for helping our family open this chapter in our lives! Cindy and I would like to thank you so very much for the AMAZING job you did in selling our home. Your marketing strategies, advertising, staging and timing were perfect. Your strategy to sell our home and receive multiple offers worked within 1 week! Your expertise and professionalism is clearly evident in your thorough evaluation and strategic planning. You amazingly de-stressed the entire process. Truly the Nordstrom experience! We are blessed to have sold for over asking price and closed seamlessly within 30 days. You are definitely “Our Realtor for Life”! We can’t thank you enough!!! We would highly recommend Homes By Krista to our family, friends and anyone who is looking for a “Real Estate Team” to get the job done. Their teamwork, excellent communication and marketing strategies made the listing and sale of our home seamless. by its content, and your thorough explanation of how things will go. I look forward to working with you again, Krista! You are so funny – we attend your big happy party, drink your wine, eat your great food and you thank us! Sense you helped us buy our wonderful home we’ve seen and heard so many horror stories. Every time we hear about buyers being jerked around we think, ” Thank God we had Krista in our corner!” We laugh at ourselves…. we wanted a small house with a BIG yard instead we bought a BIG house with a small backyard and we love, love, love it! We are so grateful we listened to you and didn’t waste time. Krista, you’re a PRO and we KNOW it! If you want the best Realtor ever, go with Krista and her team! They are the hardest working Realtors in the Area. Krista, keep up the great work! Thank you , thank you, thank you. You are a true master sales professional. When I first met with you I thought to myself, “Man, this girl really has a great speal, but I doubt she will be able to do everything she says she’s going to do.” I have to tell you, I’ve had to eat my words. You did everything and then some. Selling my house was a breeze and your knowledge and expertise definitely got me more money. I appreciate your always looking out for me and having my best interest at heart, not just your pocket book. Now that we are buying through you, I’m amazed at your negotiations. You were a Tiger when you sold our house, and you’re a Tiger now that you’re representing us on the buy. Thanks so much and it is nice to see someone who truly loves what they do. You definitely do know your stuff!! Krista, Stephanie and I cannot believe how much you were able to sell our home for. I was amazed by how well you were able to negotiate the sale of our home. I always felt like you were on our side and tried your very best to get the highest amount possible. I noticed that you never came to us with issues until you had already utilized all of your efforts to resolve them on your own. I really want to thank you for that because selling a home can be scary. You made it seem effortless. I’m quite the computer buff and I have to commend you on your use of technology and marketing in selling the home. Your efforts are commendable. Take care Krista and thanks once again. Krista, You must be a mind reader. Thank you for always knowing how to tackle my fears even before I expressed them to you. Your Psychology degree seems to have come in handy during my short sale. I hired you due to the vast amount of homes that you have sold so I thought you would be the right choice. You absolutely were the right choice. I am so pleased I hired you. Your organization and professionalism shined throughout the entire process. Thank you for always making me feel special, like I mattered. I never felt just like “Another Client,” I know you cared about my true outcome and for that I will always be grateful. You and your team work like an assembly line. Everyone was always so willing to help and did it with a smile. I appreciated everything that you did!!!!!!! I wanted to say “THANK YOU.” You have been the first and only agent I’ve ever used. 10 years ago when you helped me buy my first home, you’ve become a friend. You helped get us the home when the competition was fierce. When you helped us Short Sale our home two years ago, I was literally SHOCKED as to how fast it was. People say it takes months and months to do a short sale. After telling you that we had to move quickly, I was shocked that you were able to get an approval in only two weeks and we were able to actually close our short sale after only about 60 days from our initial appointment. Once again, you pulled through. You’re not just another pretty face, lol, you actually get it done. I’ll be calling you very shortly to buy again. Thanks Krista for helping us not have to go through an embarrassing foreclosure. Thanks Krista and Team  Wow, you definitely did everything you said you would, and then some. I was afraid that doing a short sale was going to take forever and cause me more grief. It was painless and I want to thank you for always taking the initiative and thinking ahead. You are an awesome problem solver and seem to catch issues before they come up. I really appreciated the fact that you were able to Stop the Foreclosure literally days before the Auction date and postpone my foreclosure. I didn’t think a Short Sale was going to work because we waited so long. Thanks to your experience and knowledge, you were able to make it happen. I really appreciated that there was always someone in your office that I could get in touch with. Even if you weren’t able to answer the phone, one of your staff members always did. I was always given what I needed quickly and I never felt like I was a burden on anyone. Thanks so much Krista for always making customer service a must. Your attitude and positive energy made it a joy to work with you. Please feel free to have anyone call me for a reference if needed. I’d be glad to let them know that hiring any other professional would be a mistake. Thanks again, Krista. Krista Mashore is a consummate professional and a great friend. Back in 2010 we found ourselves in the unimaginable position as many others. We had to move out of state for a work opportunity but we owned a house that was underwater. We knew we needed to pursue a short-sale and we knew we needed someone to help us. We researched the agents in our area and interviewed a few that advertised they were educated in short sales. We immediately clicked with Krista. She made a great presentation and followed through. She helped us every step of the way. She listed our home in February and we had completed and closed on our short sale by June 24th. Thanks to Krista’s efforts we had two reasonable offers within a week. A short sale is not easy and is not without stress. Krista supported us and answered all our questions without fail. We moved out of state in April and in the very capable hands of Krista. We truly feel her advice, support and take-charge attitude was the reason we were able to complete a successful short-sale in a reasonable amount of time. It is possible to move on from a short-sale. We were able to move our family to take advantage of the job opportunity. Within nine months of closing on our short sale, we were able to obtain a mortgage through a community bank and a portfolio loan program to purchase a new home. Krista knows her market and her business. We highly recommend Krista Mashore. Krista, Renee and I wanted to take the time to thank you so very much for all of your hard work and dedication to making our Short Sale go through. When you said that you could get me money to do a short sale, I truly thought that you were just saying that to help to get us to sign with you. However, you were true to your word. I was shocked when you were able to get us the $20,000 $20,000 for relocation assistance made it much easier to leave. To Home Buyers or Sellers, This letter is in regards to our realtor Krista Mashore. I would highly recommend her to anyone looking to buy or sell a home. I have always referred Krista to family and friends in the past, but this past year Krista helped us purchase our second home. We were able to see just how awesome she is at what she does. Krista is a very educated and experienced realtor. Our recent experience was purchasing a short sale. Krista helped expedite the process for us and take the stress out of the entire ordeal. She was able to answer any and all questions we had related to the purchase and assured me it would work out in the end. She spent a lot of time with us looking at homes and choosing the perfect home for our family. Krista’s whole team is friendly, quick, and organized. They communicated well on what was needed and the timeline in which it needed to be done. They work well as a team and you can see how it pays off. I highly recommend Krista and her team for anyone looking for a realtor that truly cares about her clients. I just wanted to take a moment to thank you for doing such a fantastic job on the sale of our home! I would have never imagined a short sale to go so smoothly and Candice’s recommendation to use you exceeded my expectations! Being in the industry we see so many of these types of transactions go south and you and your team did a wonderful job in keeping on top of it! Thank you again! Thanks Krista. You’ve made this whole experience so easy for us. Hi. I am writing this letter to recount my wonderful experience during the short sale of my house with Krista Mashore. Krista is the cousin of one of my fellow teachers, and a little card on my door and his recommendation led me to her. I was apprehensive at the whole idea of selling my house, but I also knew I needed to take the plunge. I had bought my house in 2003, had taken out various seconds to improve the property and to buy out my ex, and then in 2010 found myself, like so many others, hundreds of thousands of dollars underwater! I tried a refi with the bank, but the re-structuring did nothing to reduce my principal, nor did it save me much per month. I was still stuck. I felt it was now or never, so I called Krista. Her calm professionalism reassured me that this could work. She told me that she’d worked through many short sales, and that if I could be patient—the banks are horribly backed up—all would be well, and so it was. Krista was kind and helpful, very clear in her requests of documentation. She explained each step along the way, and her amazing support staff always knew my case and its unique progress. I am happy to say that in the spring of 2012, my short sale went through without a hitch, papers were signed, and that chapter of my life is done! I couldn’t be more pleased, and I could never have done it without Krista. Her knowledge, thoroughness, and conscientious approach made the whole experience easy. I am truly grateful! Thanks, Krista! Hello, my name is Shawn Fernandez and this is an unsolicited testament to our experience while working with Krista Mashore and her staff, at Homes by Krista. Like many, my wife and I were struck by the economic downturn and were in a position to have to sell our precious home. We depleted our savings and everything we had to try and save our home. Sound familiar? Well, it was happening to us. After reading one of Krista’s ads, we decided to call her to see if she could help us keep our home. Krista, whose real estate knowledge immediately stood out, answered our questions, and explained all of our realistic options. Although she is not a bankruptcy attorney, Krista has in-depth knowledge regarding bankruptcy and how it plays into selling a home. Nonetheless, all of our options were presented and we decided to do a short sale. Contrary to its description, a short sale is very drawn out, stressful and tedious. Krista, knowing this was the case, coached us through the entire process. Her insight made for a less stressful experience, allowing us to focus on our next steps. In our 10 month experience of working with Krista and her staff, they never made us feel pressured. In fact, at one point after we had agreed to short sell our home, the viewing process began. In the middle of the process, we had a change of heart and told Krista that we wanted to remove our home from the listing and stop the sale. Without hesitation, being sensitive to our feelings, she removed our listing. She never tried to convince us to keep moving forward with the sale. She simply told us to let her know when we were ready, if ever. Eventually, we short sold our home. At that point you would think that Krista would have thanked us for our business and moved on. Hardly the case, Krista and her staff worked tirelessly to help us find a home to rent which suited the needs of our family. Obviously, I can’t say enough about our experience, so let me try and sum it up. Krista is an honest, sincere, knowledgeable, protective, no nonsense, realistic, high energy, real-estate professional. See knows exactly what she is doing; she places the needs of her clients first and uses her resources to achieve the best possible outcome. There is no doubt that people who choose to use Homes by Krista as their real estate professionals would be placing themselves in a win-win situation. If you have any questions regarding my experience, please call me at 925-207-9549 and I will gladly address your concerns. I wanted to thank you for all your efforts and your team’s efforts during the short listing period of my home. Your kindness meant more than I can express and your professionalism was extraordinary. I wish you the best of all happiness and success and I consider you a fiend. To Future clients of Homes by Krista: We are writing to recommend the services of Krista Mashore. Krista and her team are hardworking, enthusiastic and know the real estate business. Krista listed our Brentwood, California home for sale in early 2012, and she handled everything professionally and swiftly. Her knowledge of the local market helped us to set a price that would not only be attractive to many potential buyers, but that would also be supported by a lender’s appraisal. The photo documentation for our listing was outstanding, and by using the latest in technology, Krista’s team made our home look great online and made it easy for buyers to learn about our home. We were “on the market” for less than one week, during which we received multiple offers. Krista’s strength in negotiating resulted in a final price that was above our listing price and provided us the highest net proceeds from our sale. We feel confident in recommending Homes by Krista. This was our 10th move, so we’ve worked with a number of real estate professionals in the past; Krista ranks among the best. We were always able to reach her or an associate by phone; we never got voicemail when calling. Krista was willing to take time to discuss our concerns and respond to our questions, and she exceeded our expectations for selling our home. Dear Krista, Ann Marie and the Krista Mashore Team: We want to thank you for your persistence during the sale of our home in this stressed economy. We appreciate the dedication to our needs and handling of the challenging conflicts of multiple lender issues. Your knowledge of current laws were exceptional, and indispensable in negotiations. Your caring nature was greatly appreciated when anxieties rose. I would recommend Real Estate Results/ Homes By Krista/ Homes By Krista to any of my closet friends. You and your team are champions for sellers in the real estate arena. The Krista Mashore teams are true Gladiators for your clients! Hi Krista and Team, I hope you realize how much my wife and I appreciated you being so overwhelmingly helpful and efficient and kind to us that have a lot to learn about dealing with such an un-navigable and difficult situation like so many of us have found ourselves in these days. I will recommend you with high praise – you were so informative about our options and worked so hard for us -Thank you again! It’s always a pleasure working with such a “solution oriented” Realtor. It’s inevitable that issues are going to come up during Real Estate transactions. Krista has a knack for focusing on the solution not the problem making sure we have a successful closing for all parties involved. Thanks Krista! And by the way, I know you are very busy, especially with that many offers, but I just want you to know, “agent to agent”… I REALLY APPRECIATE the fact that you ALWAYS get back. Even if it’s your staff, I still appreciate the courtesy. So many agents out there don’t have a clue what that is… So thank you again and good luck with that listing!!! Can I just tell you how wonderful you are. I know you are very busy and you always respond and you always return my call. I cannot tell you how much I appreciate that. You are awesome. With busy agents that service is not always there so thank you again. I had no plans to sell my house for at least 3-5 years. But an unexpected event in my life changed that and a decision was made to relocate. After buying a home out of state, the real estate agent who assisted me also wanted to help me find an agent in my local area to help me sell my current home sooner than later. She interviewed several agents by phone until she knew she had found “the one” for me. That is how I was introduced to Krista Mashore. From my initial phone conversation with her to the house closing, she was nothing but professional. She promised me she would sell my home quickly, stress free and at the best possible price. She lived up to every promise. In fact my house sold in ONE WEEK !!!! Her high energy, her compassion for people and her knowledge of the real estate business got my house sold quickly and without me doing anything but making it available for viewing. I didn’t need anymore stress in my life and Krista made sure of that during the entire process. I would highly recommend Krista to my family and friends; in fact I already have. She truly loves her job and it shows in her work ethic and the way she treats her clients. I enjoy working with Krista Mashore and her team. On a recent REO purchase transaction, my Buyer had last minute repair requirements to the property from underwriting to fund the loan. Krista was very accommodating and responsive. She proactively obtained repair bids and then approval from Seller to cover the repairs. She saw that the repairs were completed quickly and satisfactorily to allow a fast closing. The first time Buyer was very relieved to see that the Seller worked with them to insure they were able to purchase a sound home. Krista represented the Seller well. Krista is a real team player and I look forward to future transactions with her and her team. Krista’s work ethic is amazing! She was able to get my short sale approved in 29 days! Krista and her team got me $20,000 from Chase Bank to short sale my home. I'm not sure how they did it, but Team Krista was able to postpone my short sale within days of it going to auction. She has helped us stay in our home for over a year now which has given us multiple options.